Greece is the ultimate holiday destination, one that the whole world lusts after. Between basking in pride, we take breaks to help you plan your visit to our beautiful country, proving out reputation of being one of the most hospitable countries in the world right. Check out which months are the best to visit the Greek destination of your choice and make sure your time in Greece lives up to your dreams and expectations! Contrary to popular belief, Greece is not an exotic country where the sun shines 365 days a year. Our climate is mild and the sun shines more often than not, however, we do get a winter season and it can get chilly and windy. No Chicago in February, but still. Therefore, visiting Greece at the dead of winter, between the months of December and March, might not be ideal if you’re looking to enjoy the sun and the sandy beaches Greece lavishly offers, especially if you’re planning to visit the perfect Greek island for you. This doesn't mean there are not pleny of reasons to love Greece in the winter! 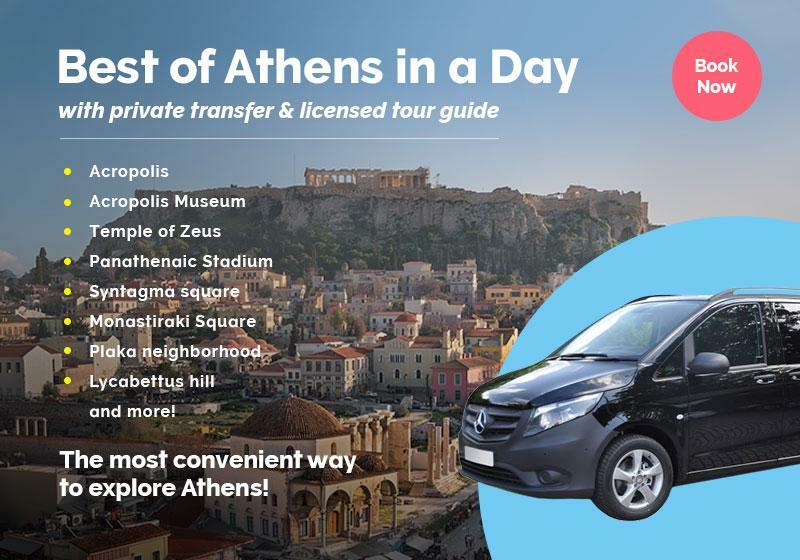 You could still have a merry old time in Athens, and get to explore the city in a less touristy and more unexpected way, however if you’re looking to capture an instagram-perfect picture of you by the sea with a drink in hand, sporting an enviable tan, you can cross the winter months out of your planner. On the other hand, if you are thinking of coming in the middle of summer, you should be warned that it gets hot -really hot- and crowded. The Greek islands, especially the most popular ones like Mykonos and Santorini, get swamped by locals and visitors alike, while Athens, especially during the month of August, is much quieter. It all depends on what you’re after, however, we would consider as the best time to visit the Greek islands either the late spring or the early autumn. If you like to experience the bustling, cosmopolitan destinations and have no problem with the temperature rising above 35oC and the island of your choice being on full capacity, making the cost of your stay higher as well, then July and August are the months for you. If however, you prefer a quieter scene, which will offer you less choice in what you can do on the island along with a much sparser crowd, late April, May, June, September, and even October is what you should aim for. Of course, the same does not apply for all Greek islands, as they are distinctively different from one another and offer different things. For example, due to its comparatively large population of permanent residents, in comparison to most Greek islands, Crete is one of the few, if not the only, island you could visit all year-round, with lots of fascinating Cretan sites waiting for visitors to discover them. Being a favored destination, the months of June, July and August are the most crowded ones still, but its big size makes this problem a lot less prominent. Ikaria, a personal favorite, is the exact opposite. Hiding its staggering beauty in a remote destination and not being popular to visitors from abroad, to enjoy the island to its fullest, you should pay it a visit in either July or August, as it will be too quiet outside of those months. An added bonus of the island is that its cool climate offers the optimum destination to shy away from the extreme heat of the summer. If you would like to experience Greece in the winter, don’t worry, you’ll still have an amazing time and you don’t necessarily have to stick with Athens; just stay away from the islands and opt for the mainland. Destinations such as Meteora and Ancient Corinth, are perfect for those looking to get an authentic Greek experience, while Ancient Corinth is close enough to Athens that you can combine it with your trip to the capital. Enjoy a tour around Meteora or a tour around Ancient Corinth to get to know these magnificent regions of Greece in a fun, smart and compact way! Arachova is another exquisite winter destination of Greece, gathering a large and diverse crowd especially around Christmas time. It offers wonderful landscapes, mouthwatering traditional dishes, and even the opportunity for visitors to embark on a skiing adventure on its mountains; after all, Arachova has one of our favorite ski resorts in Greece! If you want to visit Greece -which you should- don’t restrict yourself to clichés; think outside the box. Greece offers much more than meets the eye and you can find a perfect destination depending on when you decide to come around. We are one of the lucky countries that still get to experience every single season along with its distinctive charms, so join us and let’s appreciate them together! Whether you plan on visiting during spring, summer, autumn or winter, you can tailor your trip to fit your needs. Rest assured that you will leave satisfied and eager to come back!